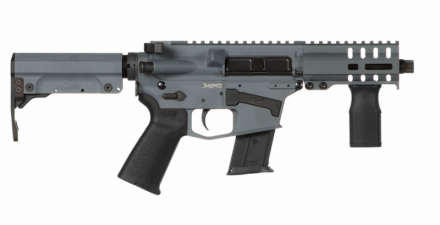 Boonville, MO (8-7-18) – Over the course of its history, CMMG has established a reputation for its quality and innovative AR rifles, pistols and small parts. 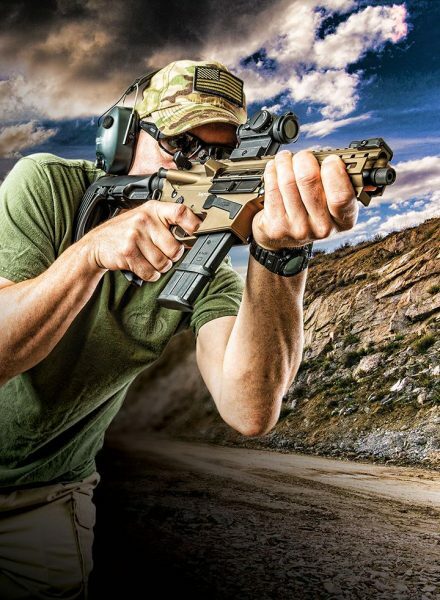 With the launch of the DefCan suppressor line-up earlier this year, CMMG expanded its presence beyond the AR category. As part of a larger rebranding initiative, CMMG is pleased to unveil its new brand logo, to which the company will transition going into 2019. “Our entire team at CMMG is excited to roll out the new brand logo. It’s indicative of how much CMMG has grown since the beginning. Over that time, we’ve worked tirelessly to expand and enhance our product line-up, along with further strengthening our in-house manufacturing and engineering capabilities. This new brand logo is a reflection of that growth and the bright future ahead,” said Chris Reinkemeyer, CEO of CMMG. CMMG was established in 2002 by the Overstreet family and currently maintains its factory and headquarters in Boonville, Missouri. Early on, the company focused on building high-quality AR15 rifles and parts in a growing and changing AR market. As the business grew, CMMG expanded its focus to include a greater emphasis on innovation and engineering. In 2010, CMMG patented and released its first .22LR AR Conversion Kit for the AR15. The kits have continued to evolve over the years and remain a top seller to this day. In 2014, CMMG launched its Mk47 rifle, which was a new mid-sized AR rifle chambered in the iconic 7.62x39mm round and fed from standard AK magazines. At the heart of the Mk47 was CMMG’s POWERBOLT, which features a larger, more durable AR10-sized bolt face to accommodate the wider 7.62x39mm case. The design won multiple awards for rifle of the year and quickly became CMMG’s flagship rifle. Following the success of the Mk47, CMMG brought the benefits of the POWERBOLT to other calibers by adding a standard AR15 magwell to the Mid-size platform and releasing the MkW-15 chambered in .458 SOCOM in 2016, and 6.5 Grendel in 2017. In 2017, CMMG released the MkG platform chambered in .45 ACP. 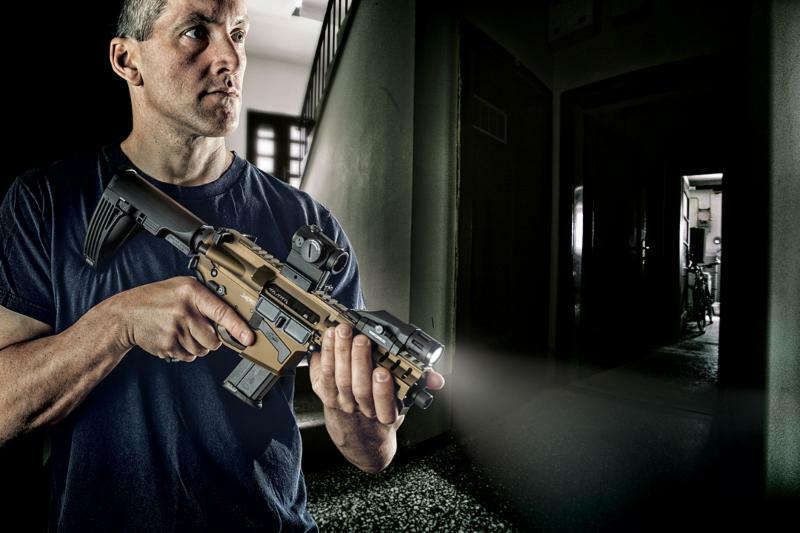 At the heart of the platform was CMMG’s patented Radial Delayed Blowback operating system, which uses a bolt that is forced to rotate and unlock, slowing the bolt carrier group enough to safely cycle. The benefits of Radial Delayed Blowback are most evident in the reduction of weight in the carrier and buffer. Not only does this system mean you have a lighter rifle, the felt recoil is noticeably less than on a straight blowback system. 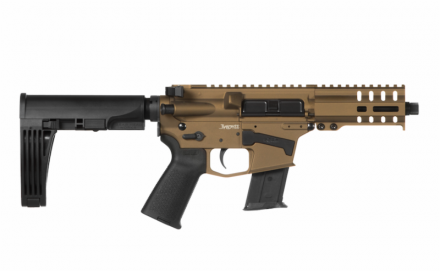 CMMG has already added additional offerings utilizing the Radial Delayed Blowback system, including the MkGs in 9mm and Mk57 in 5.7x28mm, and more offerings may be on the horizon. With a strong commitment to bringing true innovation to the industry, keep an eye on CMMG for exciting new releases in the coming years. From the same company that brought us ‘Tactical Bacon’, comes the Tac Snac. The Tac Snac is high in protein, low in fat, and made of beef and pork. According to CMMG, the Tac Snac is “Perfect for camping, hunting, zombie standoffs, and end of the world scenarios”. Aside from Original flavor, which is pretty tasty, CMMG is also offering the Tac Snac in Habanero, Peppered, and Bacon.